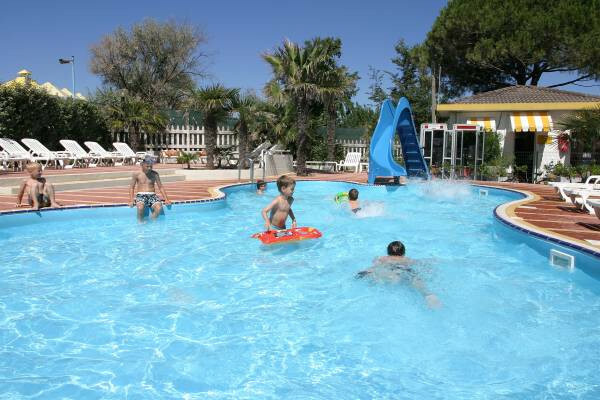 For the younger guests of the Villa al Mare Campsite, there is a heated swimming pool 0.60 m deep, on the sea front. It has a fun chute, a delightful waterfall and a solarium with sun beds that are free of charge for guests. Those who love relaxing in the sun without having to go as far as the beach can enjoy the peace and quiet of the sun beds and the regenerating whirlpool tub on the sun terrace, which enjoys a sweeping view of the entrance to the nearby marina between Cavallino and Jesolo.